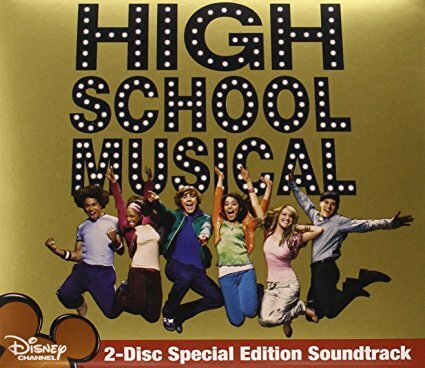 Zac Efron and Vanessa Hudgens came to prominence starring in the 2005 Disney Channel movie High School Musical. Breaking Free was a top five. Since then, Efron has become a big movie star. Vanessa tried music. But when that didn't work out, she switched to acting with modest success. Efron was born Oct. 18, 1987 in San Luis Obispo, CA. He got into acting as a teen and he moved to Los Angeles after graduating from high school. He appeared on TV most notably in the WB series Summerland. Vanessa was born Dec. 14, 1988 in Salinas, CA. As a teen, she performed in local musical theater. She appeared on TV and in the 2004 film Thunderbirds. So High School Musical was the breakthrough for both. It's basically a modern adaptation of Romeo & Juliet written by Peter Barsocchini and directed by veteran choreographer Kenny Ortega. High School Musical was so successful on Disney Channel that there have been several sequels. The big surprise was when the soundtrack album sold five million copies and Breaking Free reached #4 on the Billboard Hot 100. 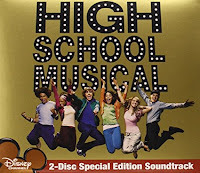 Because Efron was not really a singer, Drew Seeley's voice is mixed in with his vocals. He works for Disney as an actor, singer and songwriter. Breaking Free was written by Jamie Houston who has worked on other Disney projects like Hannah Montana. The soundtrack is available in a 2CD special edition with Karaoke versions and some bonus tracks. Efron appeared in the High School Musical sequels and the film musical Hairspray. That made him a big star. Vanessa attempted to launch a recording career with Disney label Hollywood Records. When her two albums didn't sell, she returned to acting. They began a relationship while filming High School Musical. It ended in 2010. Since then, Efron has had success in film like Neighbors and Baywatch. He has also had substance abuse issues that have been well chronicled in the media. His new film The Greatest Showman is a musical biopic of PT Barnum played by Hugh Jackman. This will be Efron's first singing appearance on film since High School Musical. Dec. 20 is the release date. Vanessa appeared in the 2015 Broadway revival of Gigi. She also appeared on the live Fox broadcast of Grease as Rizzo. She starred in the TV series Powerless which was cancelled after one season. Her career would be much different if music had worked out. Here's the video for Breaking Free by Zac Efron and Vanessa Hudgens from High School Musical.